Selma Bjarnadottir didn’t plan to make yogurt for a living. The co-founder of Flying Cow Creamery says when the idea surfaced, she and her husband Markthor MacFarlane were selling meat, eggs, and honey produced on their 40-acre farm, Bone Dry Ridge. There wasn’t a dairy product in sight. They’d become farmers in 2000, when they bought the land and moved to Independence Valley, a historic swath of farmland along the Chehalis River in Washington State. Farming was a dream she’d had since she was a child in Iceland. (She moved to the United States in the late 1980s.) In 2004, she left her 15-year career as a landscape architect for good. Bjarnadottir learned to farm as she went and sought help from other farmers in the community. One was Keith Fagernes. When she asked his advice one day, the two got to talking and the veteran dairyman told Bjarnadottir about an idea: To sell yogurt made from his cows’ milk. “You’re just the kind of person who could do this,” he told her. Bjarnadottir was impressed with Fagernes’s scrubbed-clean milking parlor and top awards from regional dairy organizations. Milk from his cows has consistently low somatic cell counts, she learned, meaning few white blood cells are present. Fagernes’s milk, in fact, eclipses the standards. A national ordinance sets a limit of 750,000 cells per milliliter. Washington State’s standard is 400,000. Fagernes Dairy’s samples have measured between 39,000 and 50,000 for more than 15 consecutive years. High cell counts can indicate the presence of mastitis, she adds, and are brought under control through strict sanitation measures. The two approached the creation of a small-scale creamery as methodically as they do their own farm work. They set business goals before they had even nailed down a recipe. Distribution topped the list: They wanted to keep it regional. “We never intended to go and sell in all 50 states. We wanted to sell yogurt in Washington,” she says. They also wanted their yogurt to taste like the place where it comes from. Beyond a distinct terroir, they wanted the flavor and texture of their yogurt to reflect the Independence Valley farming community, a tight-knit group of independent producers. To settle on a recipe, Bjarnadottir left a new type of yogurt and a survey in her neighbors’ refrigerators every week for two years. 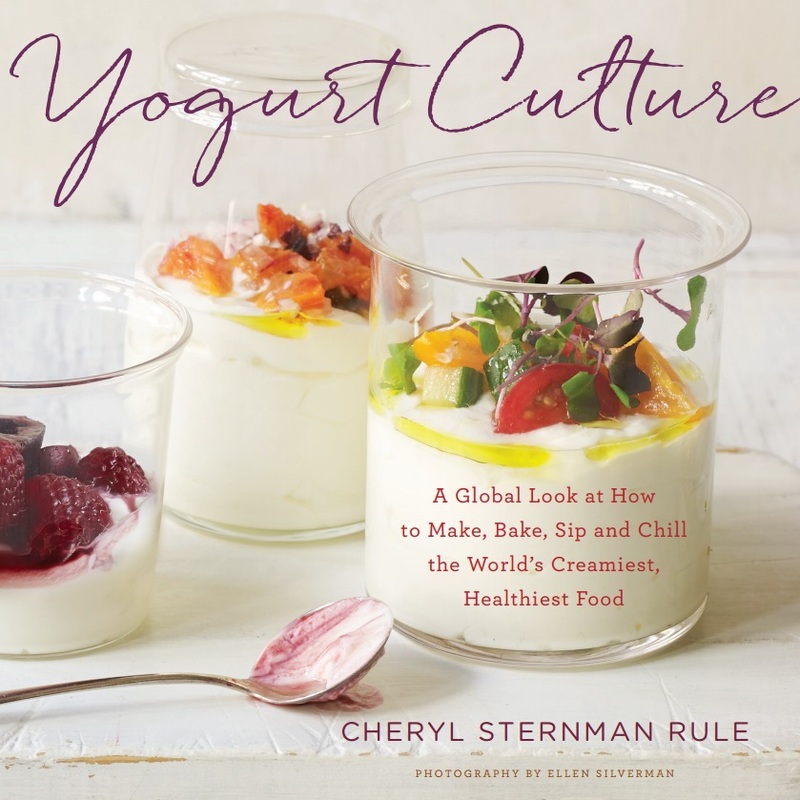 Based on their feedback, she started producing a mild, loose yogurt topped with a disc of firm white cream that rests on top, just above the shoulder of the jar. Bjarnadottir was convinced that it was possible. She was right: A crowdfunding effort raised enough to buy a starter cache of 32-ounce American-made glass jars. With the logistics in place, Bjarnadottir began making yogurt in 2013 at Black Sheep Creamery, an award-winning cheese maker located further south. That year, Flying Cow Creamery’s yogurt debuted in a few communities south of Seattle. A year later, they moved to their permanent location, across the street from Fagernes Dairy. Molly Moon’s Homemade Ice Cream is one of their enthusiastic customers. The Seattle company sourced from Flying Cow Creamery the past two years for their seasonal frozen yogurt. Last year, they drizzled in a ribbon of homemade berry jam, a flavor they’ll repeat in the spring. “We love to support local farms, especially when they go the extra mile to be sustainable,” says spokesperson Emilia Arnold. To service Molly Moon’s, Bjarnadottir purchased a number of five-gallon glass containers so she can deliver in bulk. Last year, while she was growing the business, Bjarnadottir’s husband, Markthor MacFarlane, was diagnosed with an aggressive form of melanoma. The crisis could have shuttered the operation, but Fagernes and another friend filled in to keep it afloat so she could step aside to care for him. He died in the spring. It was a hard goodbye, but she says she’s at peace. Bjarnadottir has been able to remain in Independence Valley, knee-deep in the land, the milk, the creamery, the community. And, because life is one big surprise, there’s love, too. She and Fagernes are now partners in life as well as in business, in a place that’s much more than home.